I'm not a morning person. 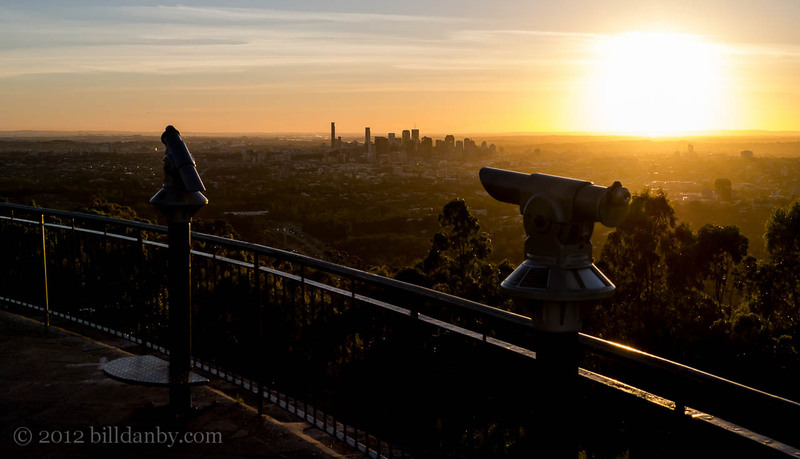 I did, however, get up to visit Mt Coot-tha at sunrise the other day. As a mountain Mt Coot-tha is a modest 285 metres; but it does provide a useful lookout for Brisbane.